A reliable, friendly, family run business based in the Tunbridge Wells area. We have achieved very high standards of work for over 20 years. Professional, Guaranteed & Fully Insured. 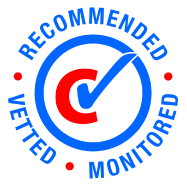 We are proud members of CheckaTrade, Rated People & also members of the KCC Trading Standards Approved Team. We are qualified installers of GRP fiberglass resin roofing systems. All work guaranteed. Special rates for OAP's & discounts for NHS staff. Here at coopers construction we offer a 24HR emergency call out service so that you no you are never alone when you need a contractor the most. We are fully insured up to £5,000,000. We have a dedicated specialist lead welding team. We carry out minor repairs or large lead roofs using a welding technique. We are a leading premium GRP fiberglass resin system installer, all of our GRP installations come with a 20 year guarantee. Here at Coopers Construction we supply and fit high quality UVPC plastic fascias, soffits and guttering. Coopers Construction’s fully qualified roofing craftsmen consistently carry out all aspects of roofing to very high quality standards. We are a reliable, friendly, family run business based in the tunbridge wells area, achieving very high standards of work for over 20 years. We cover all aspects of roofing and most general building, from minor roof repairs to a whole new roof on both pitched or flat roof’s. We are qualified installers of GRP fiberglass resin roofing systems. All work guaranteed. Special rates for OAP’s and discounts for NHS staff. Looks brand new, couldn't have asked for more.